This week started with a hiss and a roar when the New York Times Best Seller list came out. A book no one had heard of had hit number one! Then, in a fascinating real time take down by YA authors and literary detectives, the story came out through Twitter. And what a story! Read it as it happened and then read the wise advice of Kris Rusch who has seen it all before. The USA today list is calculated purely on sales so it’s always interesting when an author keeps hitting it. What are they doing right? Here is how one author achieved it three times. Last week I linked to Hugh Howey’s Part One and Two of his excellent mini series of posts on writing insights- written while aboard his boat floating in the Pacific with turtles.. (Not jealous not jealous not jea...) Part Three and Part Four are just as good. Joanna Penn posted an interesting interview with Sarah Painter on how writers can overcome fear and self doubt. This is well worth a listen or read the transcript. This week Hollywood Reporter looked at a case going to trial on who actually owns the name Jack Ryan. Was it the Tom Clancy’s estate or the film company or the widow or no one? Can a character name be copyrighted? Alli – or The Alliance of Independent Authors is gearing up for the next and last 24 hour online fringe conference. Each conference has a theme and the upcoming one is all about author business. This is well worth signing up for ... and its free! Martin Crosbie’s list of Book Promo sites- Bookmark coz its huge! So you may have noticed some changes on the blog. It’s Spring... Over the next few weeks there will be a few more changes... (I miss my space pics already.) I’m also the Fabo Judge for the next two weeks - the entries are flooding in already! Who wants a quiet life... umm. I round up the best of the bookmarked craft and marketing links as well as some other bits and pieces in my monthly newsletter. When you subscribe you get a nifty book crammed full of marketing notes. Coffee fuels the blog so THANKS for your coffee button hits this week. 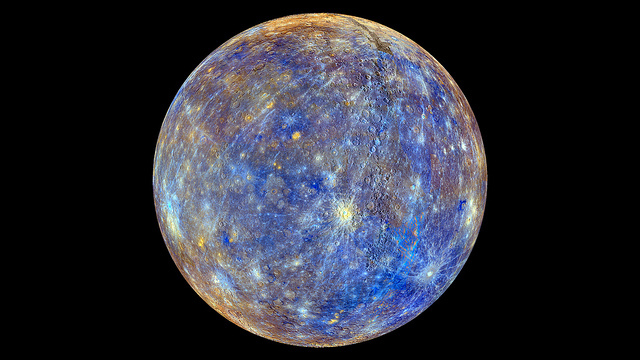 Pic: Flickr Creative Commons – NASA Goddard Space Flight Centre- The false colour of Mercury using mineral and chemical imaging.